Creative furniture arrangement will not only help you to enjoy the full functions of the furniture, it can also create the right mood in the room. It goes beyond simply placing a table in the center of a room and surrounding it with chairs. 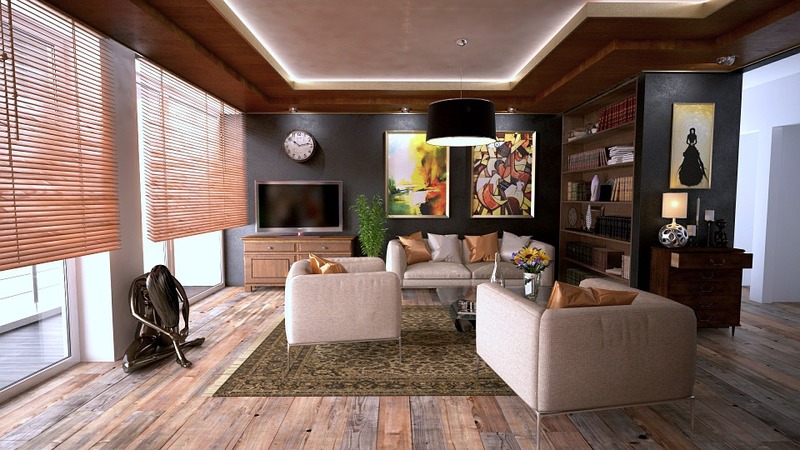 The following tips will enable you to arrange your furniture in an attractive way while making the best use of your living space. Place furnishing and decor items in the room so that they will be within easy reach anytime you need them. For example, you should put your bookshelves in a place where your books will be easy to reach while studying or working. Similarly, organise your kitchen furniture to be able to quickly pick utensils while cooking. Always consider what you will need and determine the nearest place where they should be when designing your furniture. Organize your furniture around a main attraction. In the living room, the fireplace usually serves as a common focal point. But you may also use a piece of artwork, a piano, or a television set. This is one of the methods frequently used by professional decorators because it helps you to draw inspiration for the texture and colour of other pieces of furniture. The main attraction need not form a contrast with the other design elements in the room, it could blend with the rest of the colours used to create visual comfort and balance. Due to their shape, some furniture pieces don’t fit into the centre of the room. For instance, if you place a dresser in the centre or corner of your bedroom, it may look quite awkward since it has a boxy shape. Instead, you can place it against a wall, directly under a mirror. You may need to paint dresser so that it blends perfectly with the colour of your wall. This will ultimately open up the middle section of your room for other small pieces of furniture. Triangulation is an expert interior design tactic that is used to create balance and symmetry. It works well in areas where you are not sure how you can put in furniture. A good example of triangulation involves placing an end table at both ends of a couch with a relatively large painting above them. You may have seen this several times without taking notice of it. So from now on, you should keep this mind when you want to buy furniture online or when you are looking at interior design magazines. Group the small items you have in your room together in one place. This applies to items like small tables and ottomans. Avoid spreading them carelessly across the room. Apart from the poor visual effect, such an arrangement does not use space efficiently. Instead, you can put your ottomans together in the centre of the room or put them under a table. With these furniture arrangement tips, you can create a truly appealing environment in your home. Your rooms will be warm, attractive and comfortable for you and other members of your family.